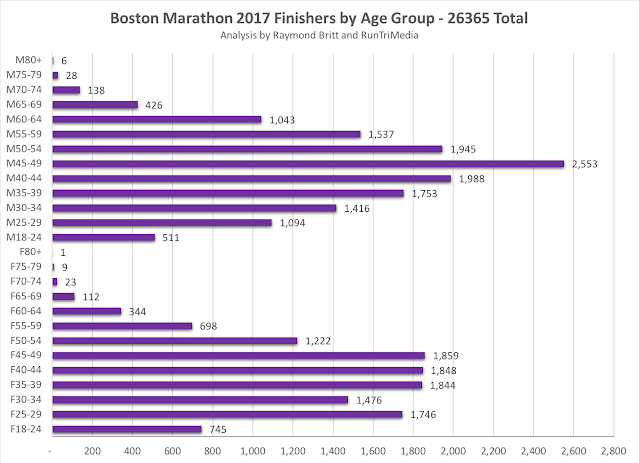 Which Race was Faster? 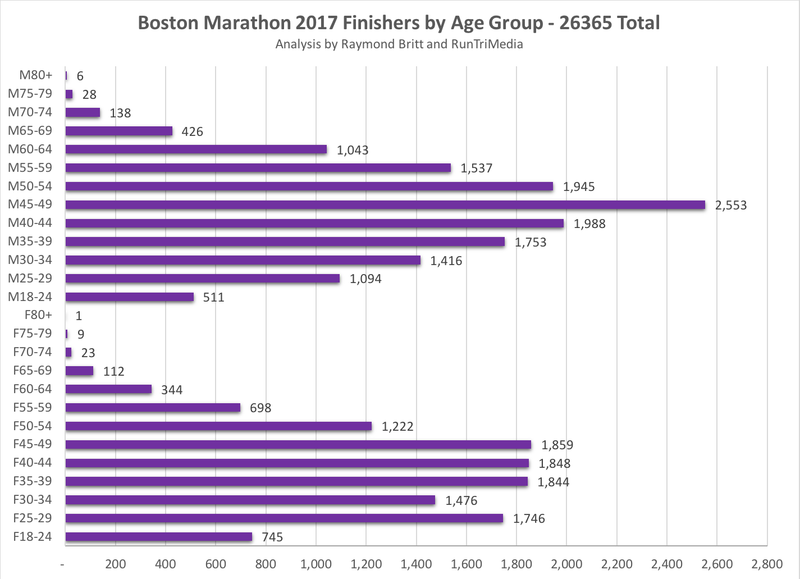 2017 or 2018? 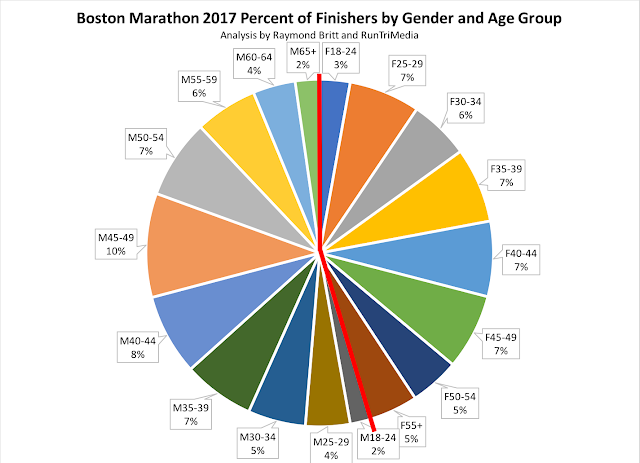 Surprise . 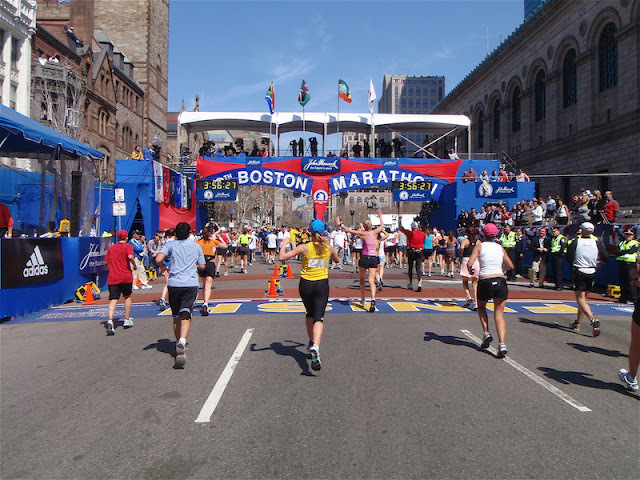 . .
We've run Boston 13 consecutive times and, we can assure you: there is nothing like it in the world. 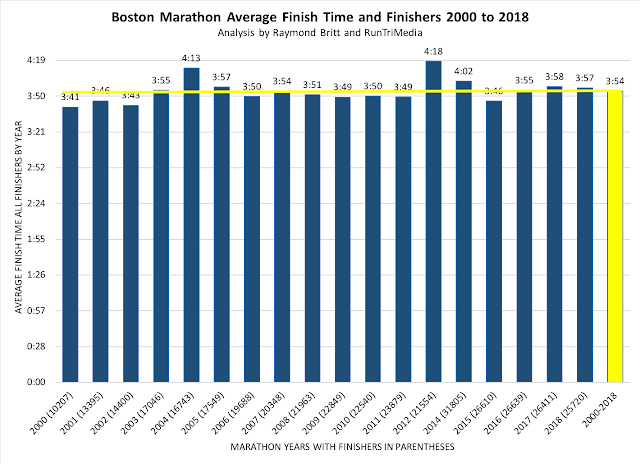 You'll know what I mean when you get there. The thrill of starting the race in Hopkinton can feel amazing, but often, the next 26.2 miles can be unpredictable. We've been analyzing Boston races for years, and here we present the highlights of analytics in charts and links to other articles that may help you run your best. 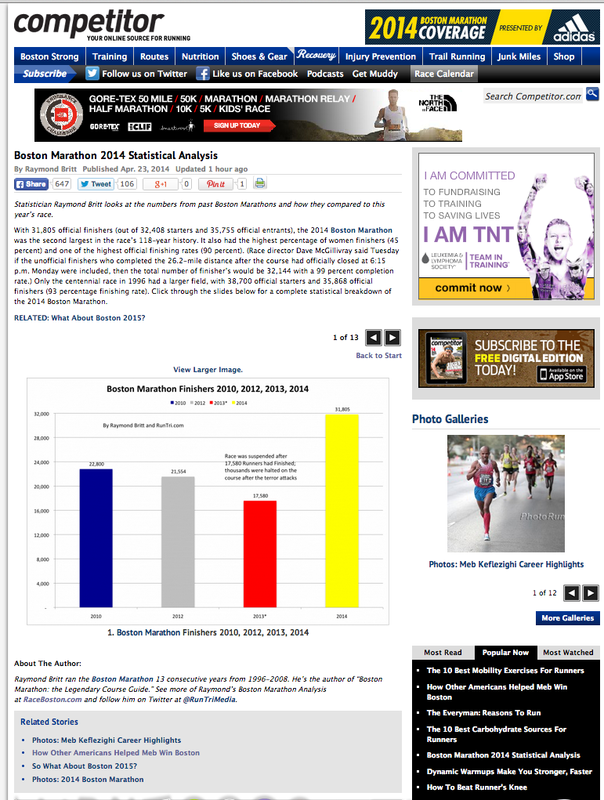 Boston Marathon Race Day is approaching; and it gets all that more exciting when bib numbers are assigned. 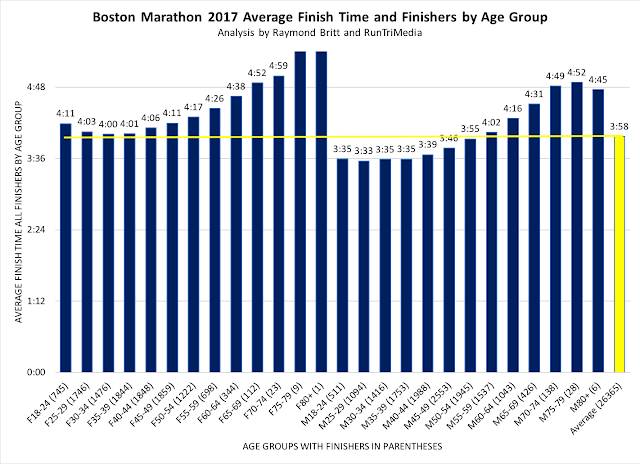 BAA has just assigned numbers to 30,630 athletes (24,000+ qualifiers), roughly the same number as in 2015. 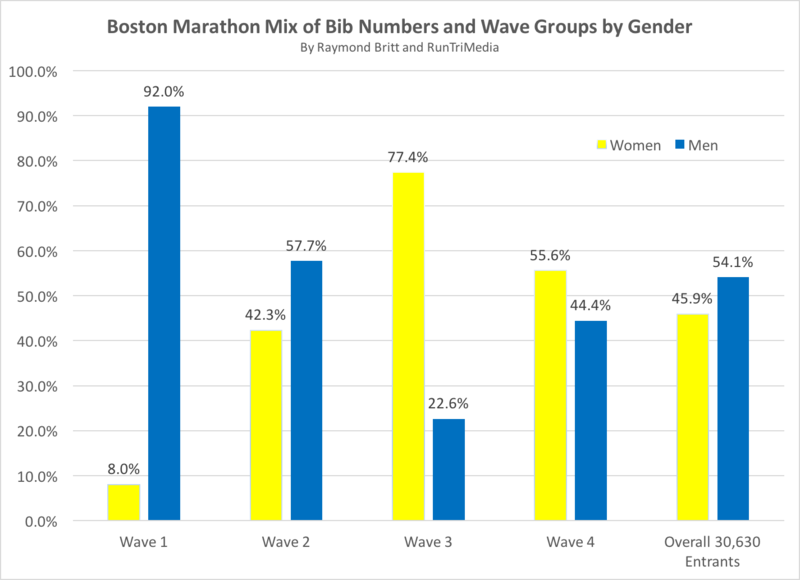 Here's our breakdown of the field, by wave and gender. 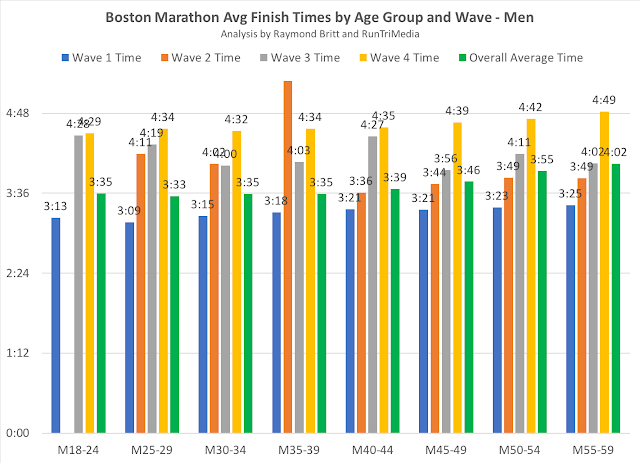 54% overall are male, with most up front, 92% of the first wave, 58% of wave 2. 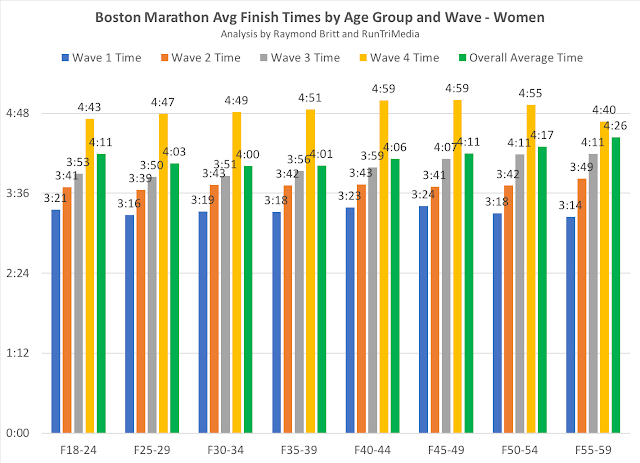 Women dominate wave 3. 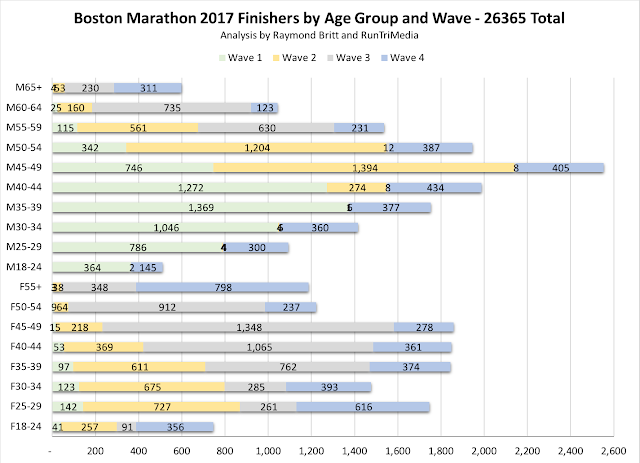 Wave 4 tends to be for charity runners, mostly women. 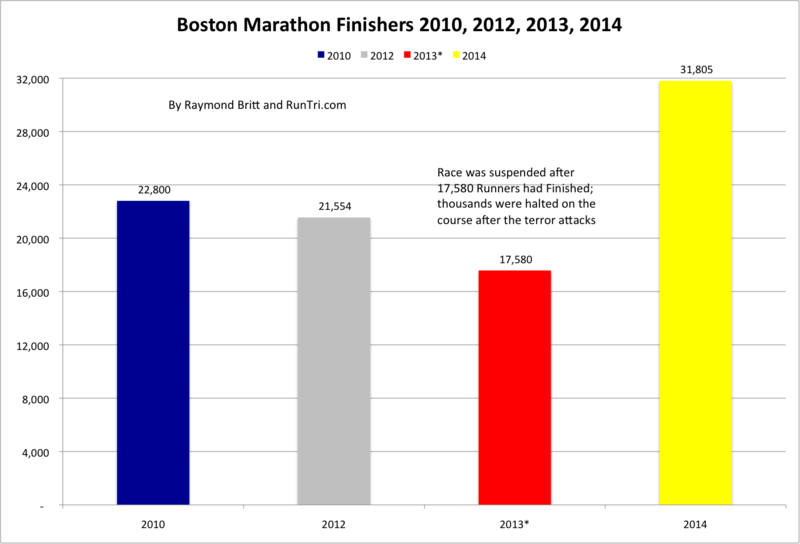 Boston Marathon 2014, rebounding from the tragedy of 2013, proved to be a spectacular success, setting or nearly matching many historical records. 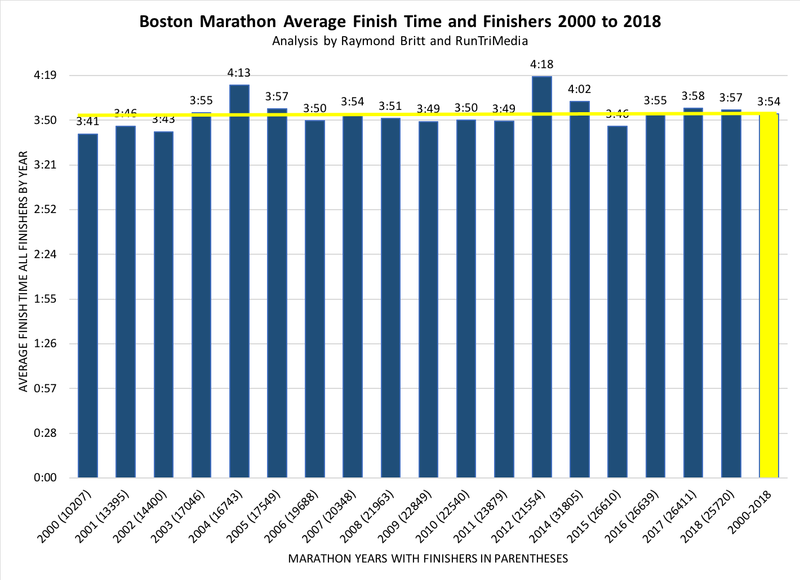 Meb's Amazing Boston Marathon Win: Why Did Exceptional Runners Lose? 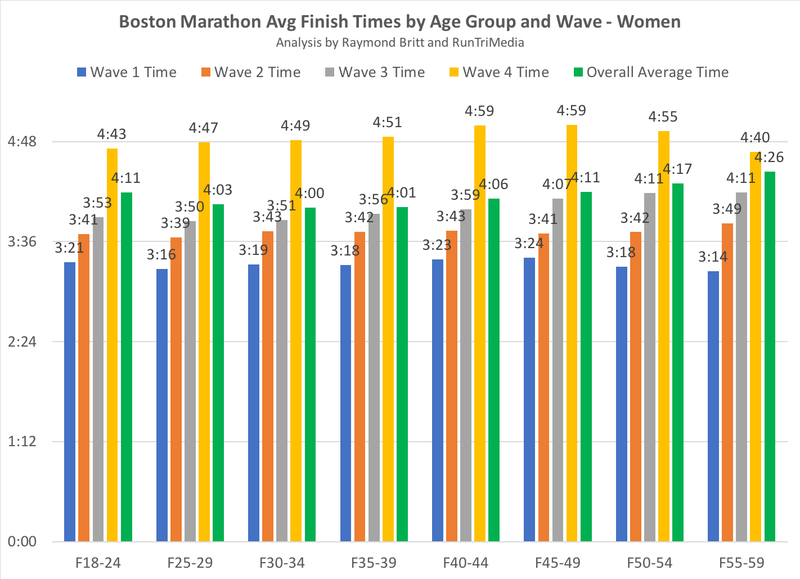 RunTri.com's Comprehensive Boston Marathon 2014 Results coverage dives into the race results, going into detail by age group mix, finishers by age group, average finish times by age group, all presented here.